← SPEAKEASY KICKSTARTER CAMPAIGN LAUNCHED! Remember that time that you met someone who seemed cool in high school but then didn’t see him again for twenty years? And he wasn’t cool anymore? This is NOT that time. I’m happy to have a chance to interview my still-cool friend, Danny Ashkenasi, about his latest project: a musical set in the world of gay 1920s New York called Speakeasy. 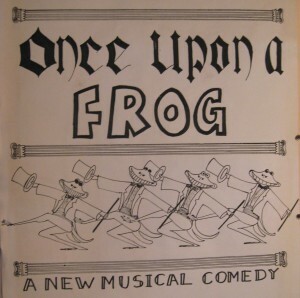 It’s not the first Ashkenasi musical I’ve liked though–in high school he wrote and directed an amphibian musical called Once Upon a Frog about an extraterrestrial transformed into a frog. Because that is just how Danny rolls…err…hops. Danny, on a scale of 1 to 7, do you regret not casting me in “Once Upon a Frog,” even though you would not even meet me for another year and I can neither sing nor act and used to throw up when I had to go onstage? No regrets. The original cast was absolutely fabulous: Chris Cruz, James Miller, Jeff Copfer, Christina Huth, Michelle Carroll and Modjgan Goudarzi. They each owned those parts. So much so that when I saw Once Upon a Frog done in German as Es War Einmal ein Frosch in Wetzlar years later, it was uncanny how so many of the actors in that production resembled the original cast, even though they had never seen it done at our school. Speakeasy is set in the flourishing gay world of 1920s Prohibition-era New York. What led you to this topic? I have always wanted to set a show in the 1920s or 1930s because I had a lot of melodies tumbling about in my head or written down on saved music scrap paper that seemed to belong to that era musically. I imagined the theatrical setting to be a nightclub perhaps, that also acts like the stage for the whole world of the story. But for many years I didn’t know what the story would be. Then I got interested in writing a musical about the queer subculture of the era. 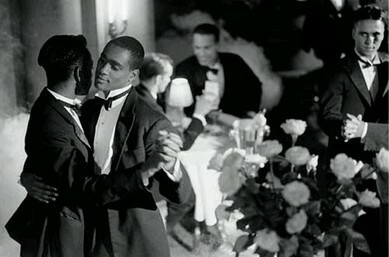 Because that era at the time seemed so removed from the modern Gay Rights Era, it seemed to me a magical realist approach may be appropriate, that the show could have the feel of a dream rather than be a realistically structured drama. 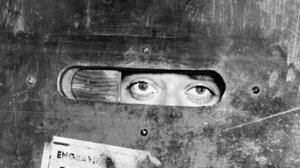 Once I hit upon using Lewis Carroll’s Alice books, Alice’s Adventures in Wonderland and Through the Looking Glass, as inspiration and narrative templates I finally knew how to approach the writing of Speakeasy. Are there any characters based on actual historical figures from the era? What made you decide to do a Kickstarter campaign to fund Speakeasy? For the last 14 years my husband Ed and I, as Fredrick Byers Productions, have been self-producing musical theater productions and concert performances, mostly in New York City. Usually with smaller casts. But Speakeasy needs a large cast and a bigger production, and we first thought this would be too large a show to produce on our own like we had been so far. I had heard but not known much about crowdfunding projects on Kickstarter and Indiegogo, yet hadn’t initially thought about those being avenues for raising funds to get musical workshops or showcases off the ground. But then I heard about George Takei’s Allegiance and how he raised money for his show by crowdfunding. And friends told me about theater projects on Kickstarter and I started to investigate as well as back several projects myself. Not only did I feel that we would need Kickstarter to help get Speakeasy on its feet in a properly scaled workshop showcase. I also felt Speakeasy as a project would be a good fit for the Kickstarter community. That its historical and social perspective, its ability to give great performing opportunities to a big multi-talented cast of all genders, sizes and colors, would be particularly attractive to the Kickstarter community. Could you give my readers a sneak listen of one of the songs in the show? How about It’s a Dream? I love that one! If this sounds like the kind of show that needs to be brought to the stage, pop on over to the Kickstarter campaign for Speakeasy to help! Every little bit helps–even a dollar will buy a feather for some performer’s cap! 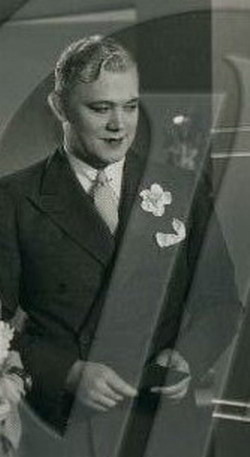 This entry was posted in Musicabilia, Notes in the News, The Speakeasy Chronicles and tagged 1920s, 1930s, Alice in Wonderland, Allegiance, Caterpillar, Cheshire Cat, Gay, Gene Malin, George Takei, Gladys Bentley, Humpty Dumpty, Julian Eltinge, kickstarter, musical, Once Upon a Frog, Prohibition, Queer, Rebecca Cantrell, Speakeasy, The Dolly Sisters. Bookmark the permalink.